XD Essentials: Button Design Best Practices | Creative Cloud blog by Adobe. Thanks for publishing such good advice. 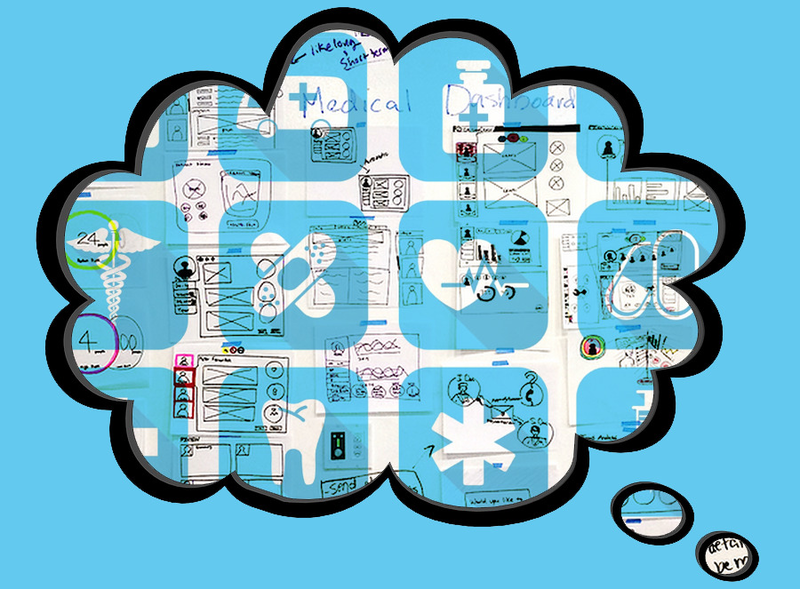 We design healthcare UX for doctors and professional care givers. But these solutions are often purchased by administrators trying to solve a problem facing the organization. So we have to address the needs of both - administration and care givers. Some times in this process, the needs of care givers can take a back seat to the needs of the administrative, simply because those needs are well documented and often highly complex. But we have to remember that doctors and nurses are on the floor, they make the final call in care, and also have to decide when and where to use your product - or not at all. We have to remember that’s because it’s the doctor’s license and the nurse’s job on the line with every decision. So when designing products for doctors, nurses and health care providers I try to keep all client stake holders concerns top of mind. Because if we don’t get it right, it ultimately affects the health of the patient. Click the link below for a great article on good practices to keep in mind when designing products for the practitioners AND the administrators. Punching the Clock Affects Creative Momentum that Leads to Conviction. Anyone who works in the UX and creative industry understands, designers have “ideas” during the “day” and often realize them to their ultimate and obvious conclusion - the trash heap or the hero - into after hours. Though we might prefer to imagine otherwise and tell ourselves we can “have a life” in the early problem solving phase …but when in the deepest stretches of problem solving, punching the clock on time could kill your momentum. Finding great solutions requires research and experimentation in order to demonstrate or disprove value. Ideas in development can lead to better ideas that then end up being the right solution. Exploration is like writing a book, and each exploration a chapter. Leaving a chapter incomplete just because the bell rings not might make the most sense. The exploratory research aspect of design is often an incredibly mundane and rather monotonous experience. It also requires deep immersion into problems nobody else is aware of or even understands. So when designers get stuck, there are not many places to turn. So you have to research some more until you are confident in your solutions. Nick Babich does a great job here reminding us all (no matter your design or developer or product manager level) that it’s always good to have a form design refresher. Share with your team so everyone remembers help our users to have the best possible experience interacting with the worst part of our sites and apps - filling out forms! :) Enjoy! Calendars are some times necessary as a part of UX. How they work with a product can be a challenge, and everyone uses them differently. Usually it’s best to be as simple, and as custom as possible to suit the needs of the product. 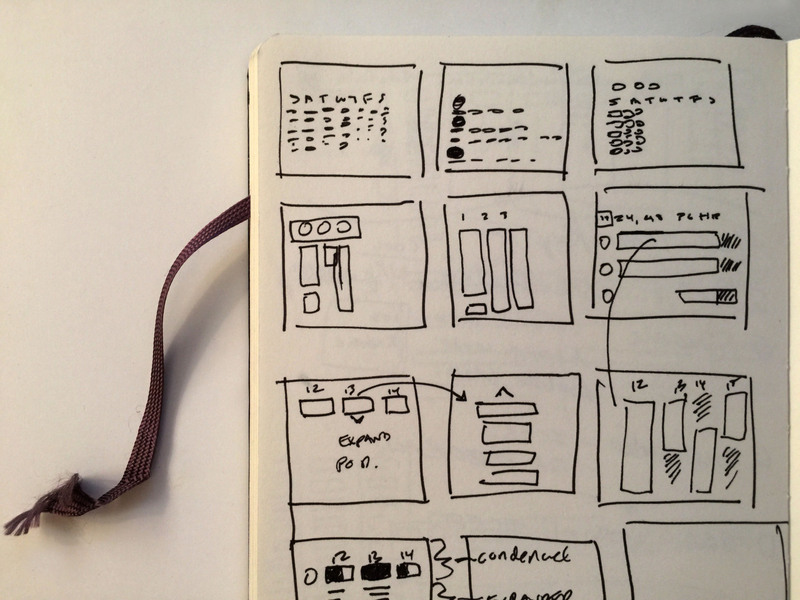 Like any feature, even calendars, sketching helps define how to solve this problem. But I never really thought about drawing my own calendar on paper as a UX experiment. 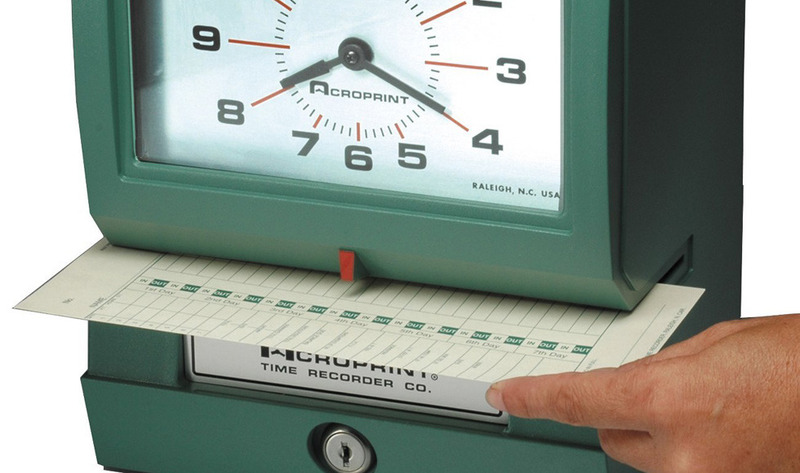 Rather than use a digital calendar system, or even a printed calendar, Craig Mod did just that. Craig drew his own monthly calendar to help him to address things in his life that he wanted to track better, enhance and make more productive. Like any kind of problem, defining it, writing and drawing it, then focusing on it over time can yield better results, or at least some new and useful insights. Apple’s BIG Miss is Google’s Big Win. Over the past 12 months Google, the company known for famously lame-plain UX/UI now leads with the worlds best new cross-platform UX design standard? Having researched and worked with Google’s new Material UX / UI design standard for many months, I’ve come to the conclusion we should all be adopting it. Now due to my recent conclusion on Material, I’m perplexed. How did Apple, Jonathan Ive and Tim Cook not see a need to address it? Having pioneered and open-sourced it’s WebKit, then creating one of the best mobile app devices and app platforms, how did Apple miss an opportunity to define an Apple HCI Interface standards guide for browsers to go with Apple Apps? A major “miss” by Apple? Yes! Stunningly, Google now defines the leading cross platform HCI setting a new standard for at least the next several years. It may be Apple’s biggest lost design leadership opportunity - in 5 or 10 years. 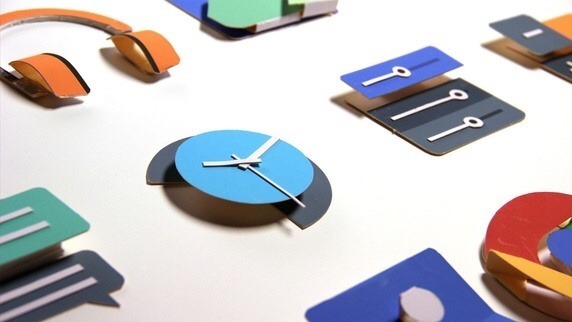 It used to be that designers started with iOS before designing for Android. Now it’s turning squarely the other way around - for possibly the next 3-5 years. Oh boy. Arguing the benefits of using code to design is like suggesting there are benefits for architects to build full-scale models from piles of bricks and concrete in the back lot. A good architect already understands the materials, and uses that understanding along with creativity to envision something far beyond the building blocks. Likewise, UX design should be concerned with how the user perceives and experiences the larger product. Getting into the micro aspects of programming when developing a UI with a true macro impact is like building sand castles. Though fun, far more can be learned by getting out and surveying the landscape, visualizing it and designing models. The following article argues the opposite position. Though I tried, I may not have fully inoculated you to its persuasive plea to program your designs. Working ahead of the Sprint, or in the Sprint? That is the question. A big question for Experience professionals. 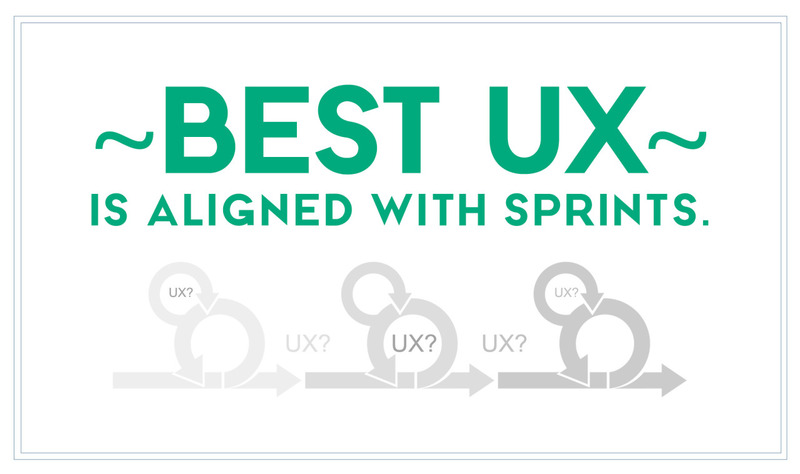 Designing ahead of the Sprint allows more time for research and iteration giving UX a better grasp of a unique problem. But sometimes understanding the problem outside the context of what the rest of the team is working on may not always be best. It comes down to “context”. How does UX stay in sync with the Scrum team, and take advantage team knowledge, and do design research to find the best best possible solution? It means working more Inside the Sprint with the scrum team. But then again who doesn’t like designing the “perfect solution” on our own with no limitations? I always worry about dropping a “well thought” feature on the dev team without them having an opportunity to provide input. Doing that without input can cheat the process, and shortcut what should be a richer working relationship. But how best to do that effectively while serving the end product and the user? For this very reason, I try to work within the current sprint while simultaneously researching (and wire framing) features for future sprints. This means juggling more sooner for a better result. Staying present in the current sprint keeps the intent on the rails while increasing understanding. Redressing past features is one of the biggest impacts to cost and schedules. I found a great article on this subject. Hope you enjoy! UK - UX Lesson Learned: “Brexit” Unistall and Restore? How does this work?? As UX Professionals and software developers, might we take a lesson or two from the Euroland Project? Yesterday Britain decided their home grown product, British Homeland v10 (or BH-X), was somehow preferred by it’s citizens to the newer Euroland solution. Though loved by younger users and some in business, the solution which was in perpetual beta, had a dizzying array of features older British citizens were unable to comprehend. Possibly this is what led to widespread user dissatisfaction. 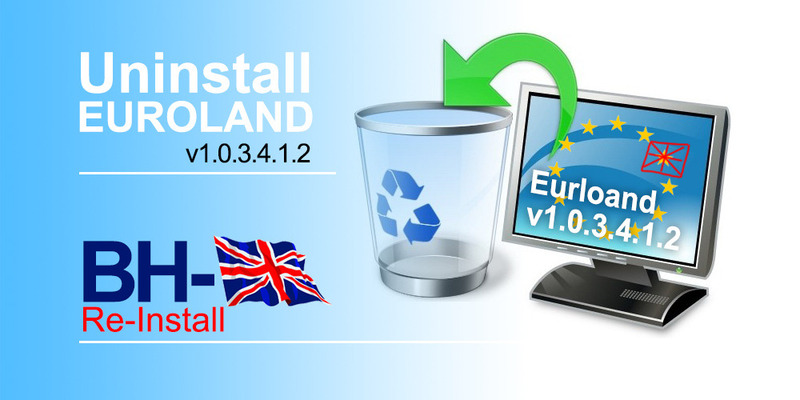 Unlike on the iPhone, where individual users can delete an application themselves, Euroland did not have an individual delete option. Eurland was considered an Embedded-System solution that could only be removed universally and democratically. So what’s next? Could the Italians, the Scotts, the French, and other nations, still relying on the Euroland solution now seriously consider it’s erasure? The producers of Euroland have used FUD (Fear Uncertainty and Doubt) through various outlets over the years to prevent this very kind of sentiment against the product. Will threats of possible continental “Halt and Catch Fire” scenarios drive back the unsettled masses in these other countries? Some have said inserting Armageddon-like sequences into a system for people is not democratic. Only those who wrote the code know what will really happen. Others say, like the Libor and US Mortgage-Securitization systems, Britain will need to hire the original Euroland creators, and pay them massive bonuses to help uninstall it completely. Some ask can it truly be fully removed if done piece meal? In response, many say it may require a complete image-reinstall. Oh boy. Update: 25 June 2016: BH-X (British Homeland v10.0) Golden master reinstall images to be made available January 2018. Starved for Communication, or Connection? With all eyes glued to our phones… it’s no wonder people are starved for real honest human linguistically-appropriate communication. It is possible, via these devices - and most importantly applications, to communicate in honest, real and relevant ways. I fact even apps do not need to be a bunch or organized page titles, text and menu structure. Use conversational tones to get action from your viewers, and in surveys. 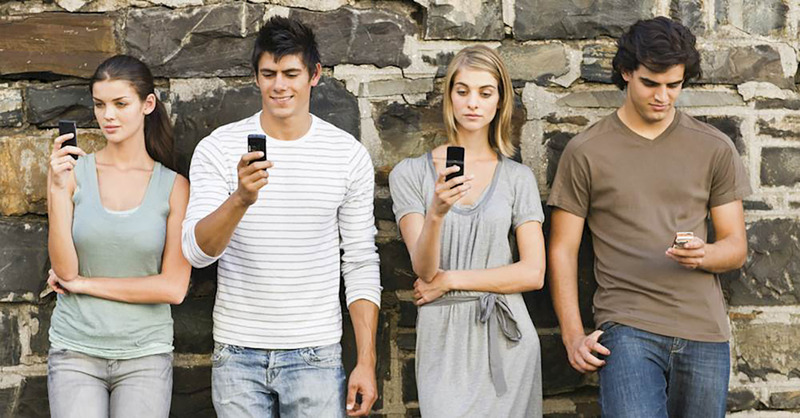 Today, users want to feel like they are interacting with a human, like a concierge (www.hioscar.com) or other like-minded approaches. in fact this approach can work with just about any kind of on screen experience. We just need to start using this methodology more to find out how successful it is for winning the hearts and minds of our users (and readers of conversational apps). The Style Guide has graduated! It’s now called the Design Language System (or DLS). The DLS is a set of code-designed plug-and-play modules of the approved UI design at AirBNB. Incredible. Design is accelerated, User Experience iterations are in proper context. Less wire, more reality - with a live interface in an extremely fast process. COOL. Kudos to RISD for forcing us all to think about process as part of design. No matter the tools you use to arrive at your UX solutions keep in mind that there are no defined tools. We must use whatever is fastest. I love white boards - in fact I have seven of them in my house. Love paper mockups, sketching, writing, long discussions about the problem, and I’m also extremely fast in Illustrator, Sketch, Balsamic, Photoshop, and think I’m going to be moving over to Adobe XD soon for prototyping from Sketch-Invision. Then there’s thousands of UX designer process tools like OptimalWorkshop, Optimizely and so so much more. Whatever the challenge, there are UX tools to help you approach the problem and undertand it from the user perspective in a whole new way. But when you come to your general tool kit of design elements… something you plan to build and expand on, code out the elements, it’s amazing if you can put together a live style guide of elements that works for UX design and the develoment team. It can make the agile design and development proces - magical. Onboarding needs to be a simple and welcoming experience. It’s different for B2B vs B2C, yet both need to accomplish a similar goal: get users onboard with as little friction as possible. Great article on the topic from InVision, check it out. Find Lyft and Uber rides in the Facebook Messenger threads. Read all about it. Contextually relevant, embedded services are what will change user’s relationship with apps. APIs and advanced UX integration into highly relevant partenrs and other apps is what will drive cross channel integration, promotion, marketing and sales.